"Love locks" attached to the Pont Des Arts overlooking the Seine river. I mentioned these "love locks" in a previous post as being the scourge of tourist sites all over Europe, particularly in Paris. 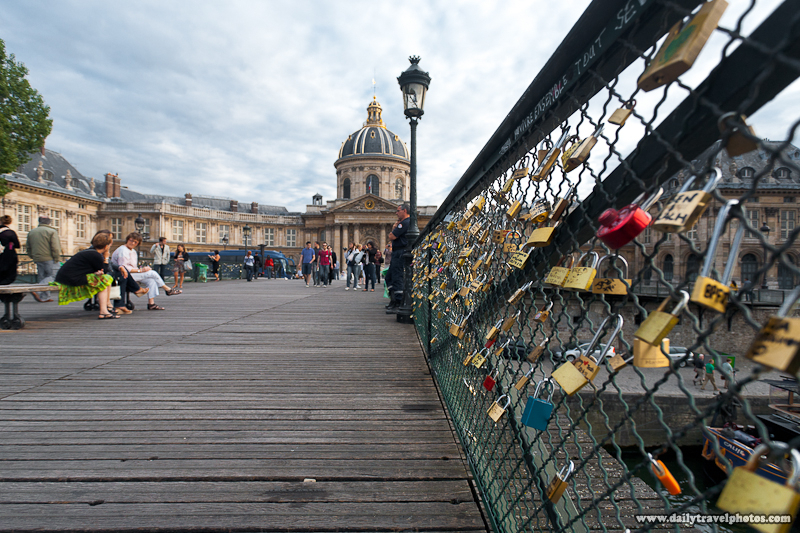 It seems this bridge, Pont Des Arts, is partially the origin of the "love lock" phenomenon although no one seems to know for sure. What is sure is the sheer number of locks attached to the fence on the Pont Des Arts that some would say de-beautify the bridge. The full span of the bridge is covered on either side with locks. And mind you, this is after the city did a thorough lock cutting to remove all of the locks about a year back. 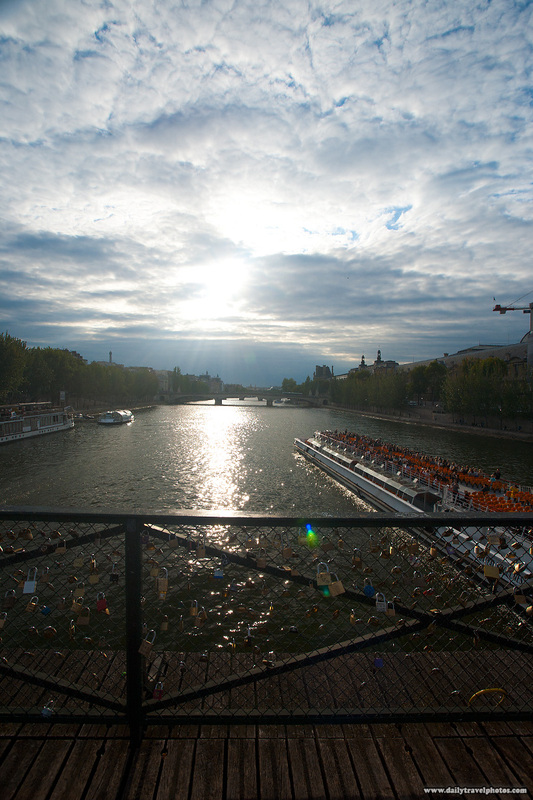 Looking down the padlock-laden Pont Des Arts at the Bibliotheque Marzarine. Most of the locks have a couple's inscription so it's theoretically possible to later identify which of them actually stayed together or which ones ended their relationship in a torrent of profanities and/or expensive divorce. Let this be a lesson to you kids out there: A wise man knows never to make predictions about love, particularly in written form. This definitely includes tattoos! The top picture is a great capture. I like the flare and the light on the boat is amazing.